Jobs have been in the forefront of everyone's mind since the economic downturn. The lack of jobs and poor housing markets seem to go hand in hand. Many areas that were hit hard by one or both still have a long way to go to recover. Those areas that had stable or slight dips in one or both have been able to recover more quickly to a stabler market. 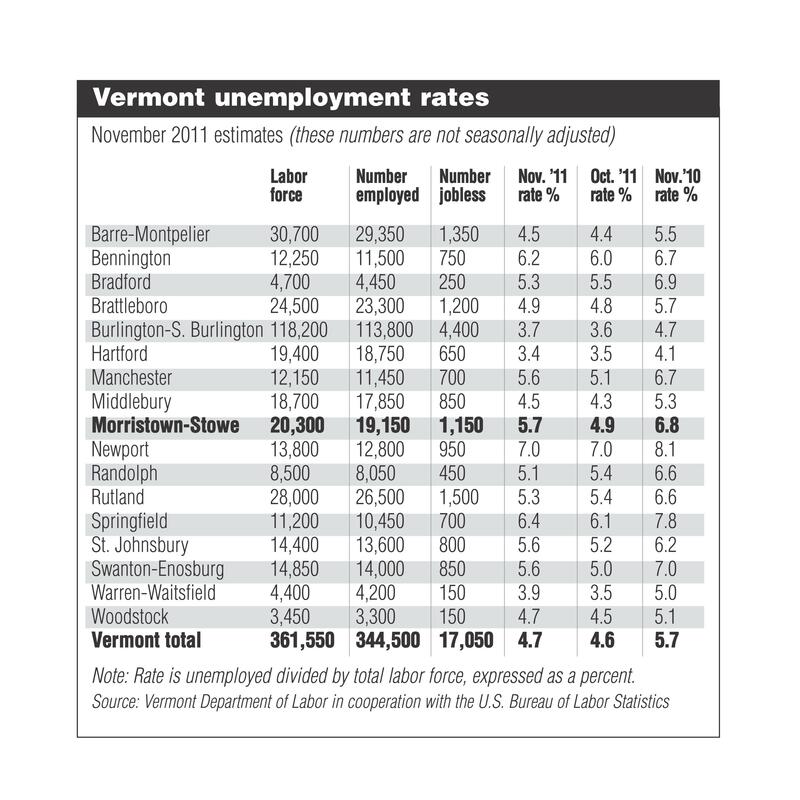 Vermont's jobless rate took a dip in November, the third straight month of declines, to 5.3 percent compared to the 8.6 percent nationally. 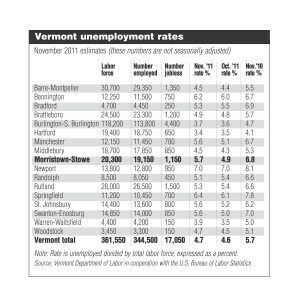 The Morristown-Stowe area rate was 5.7 percent, which is much lower than the 6.8 percent from November 2010.